There are just some photos that you like. If it's not art, I guess it's just a snap. In any case, I like this one. 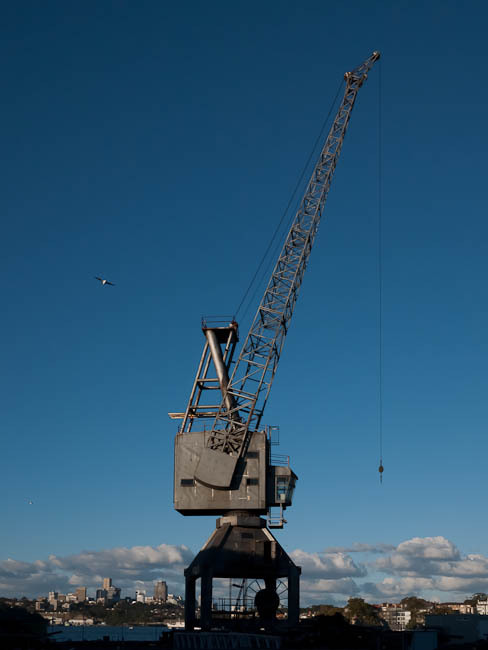 It's just a crane and now it just stands there on Cockatoo Island in Sydney Harbour — quietly. More particularly it's a travelling jib crane, and it's maintained by the Sydney Harbour Federation Trust.